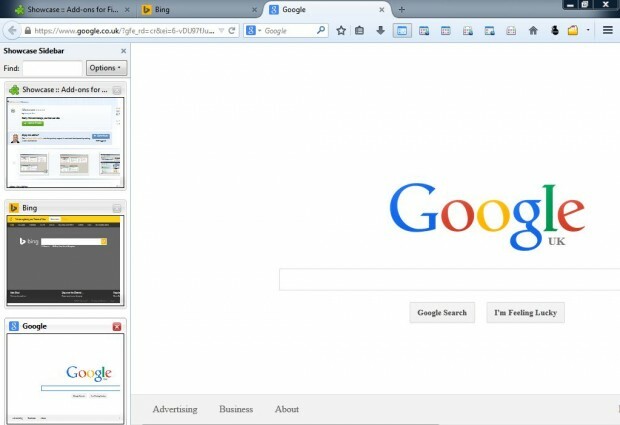 When you open lots of Firefox page tabs, the tabs resize to fit within the window. The page tabs shrink, which can erase their text. To enhance tab management, look no further than the Firefox Showcase extension. Firefox Showcase shows thumbnail previews of open tabs in a single window, sidebar or page tab. Open this page  and click on + Add to Firefox to add it to the browser. Then restart Firefox. After you’ve restarted the browser, click on the Open menu option at the top right of the window. Select Customize to open the window in the shot below. 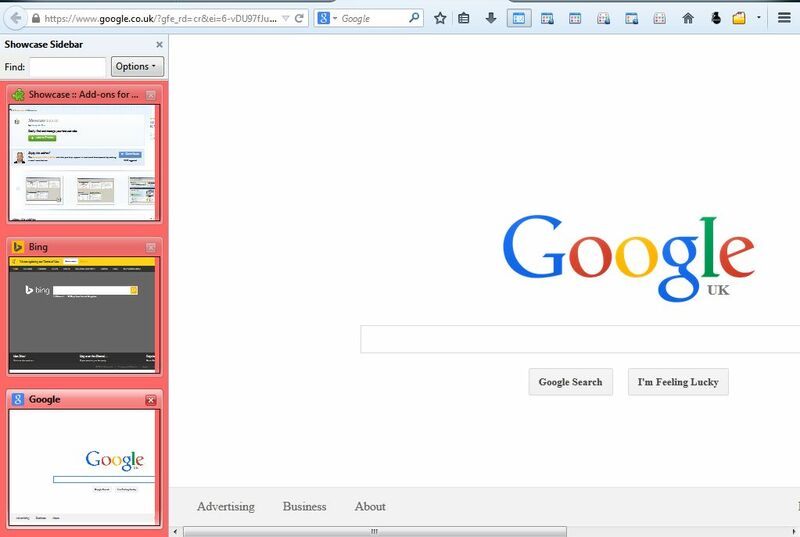 Drag the six Firefox Showcase buttons onto the toolbar. Select Exit Customize to close the window. 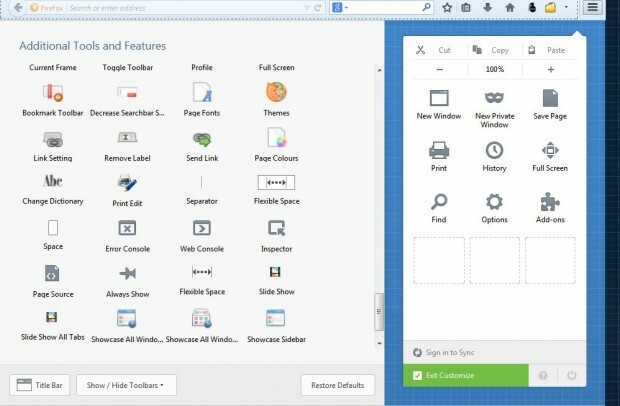 Now there will be six Firefox Showcase buttons on the toolbar. 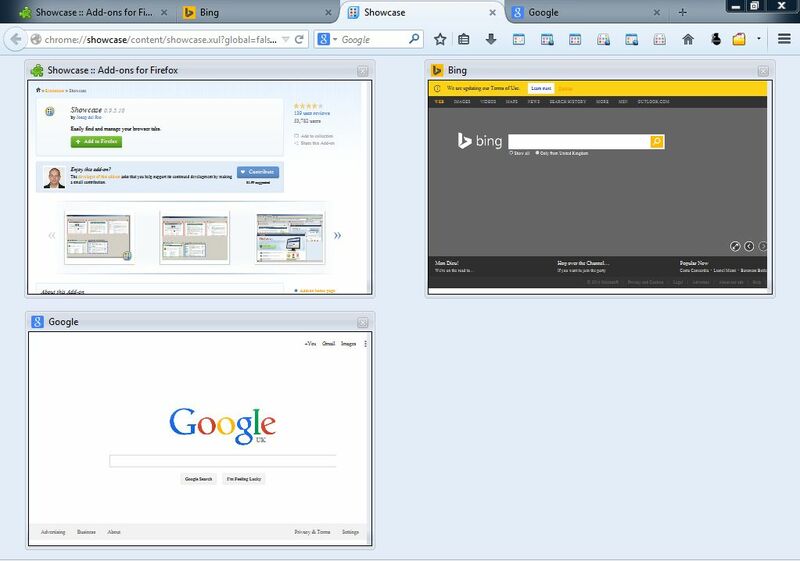 Open a few websites in alternative page tabs, and click on the Open Showcase tab option. That opens the Showcase tab page in the shot below, which includes tab thumbnail previews. Alternatively, you can open your page tabs from a sidebar. To open the sidebar, click on the Open Showcase sidebar button on the toolbar. That opens a sidebar with tab thumbnails as in the shot below. The sidebar also has a search box that you can enter keywords in to find specific page tabs. 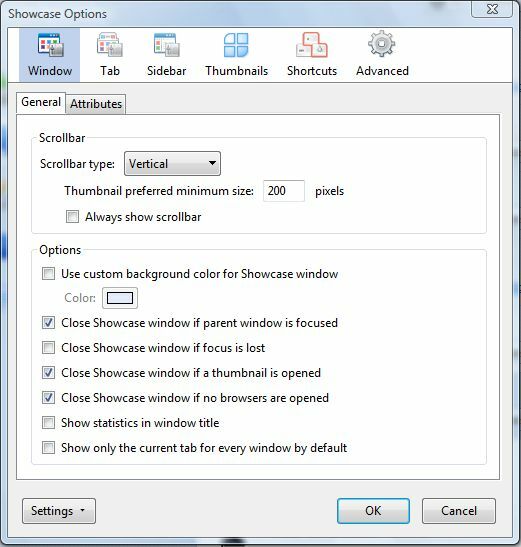 Display the tab thumbnails in a new window by clicking Open Showcase window. That opens a separate window as below. Clicking the page thumbnails opens them in your browser window. 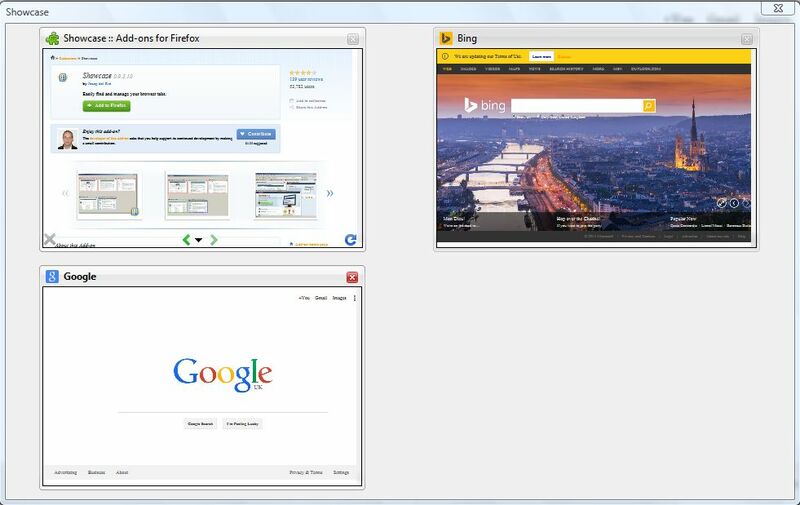 The Firefox Showcase is also packed to the rafters with additional options that customize the extension. Click on the Open menu button, Add-ons and Showcase Options button to open the window below. Then you can select Window, Tab, Sidebar or Thumbnails to open further options for each. For example, customize the colors of the sidebar by selecting the Use custom background color for Showcase sidebar check box. Then choose an alternative color from the palette. 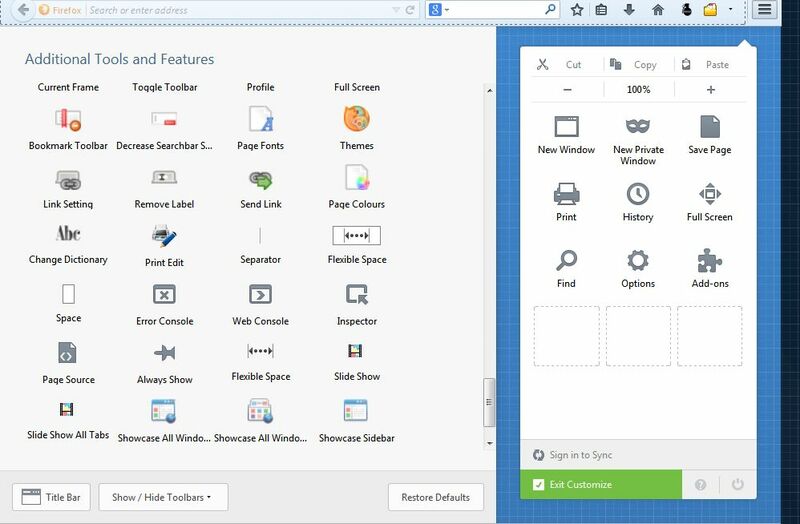 The Firefox showcase page tab and window also have color customization options. If you open lots of page tabs, Firefox Showcase is a must-have extension. Not only will you be able to locate specific tabs more quickly, but the thumbnail previews also make it clearer exactly what pages they will open. Check out the extension’s homepage  for further details.